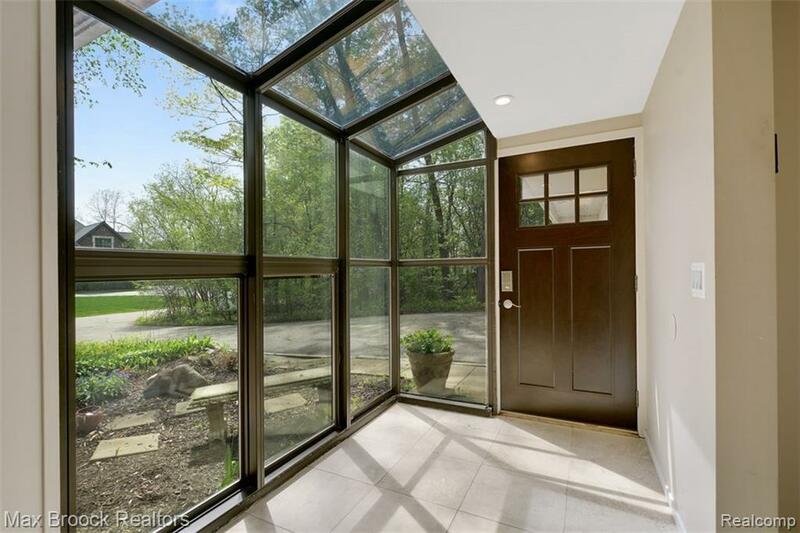 Bloomfield contemporary home with mid-century appeal and updated conveniences. Light filled spaces offer a spacious layout and design. 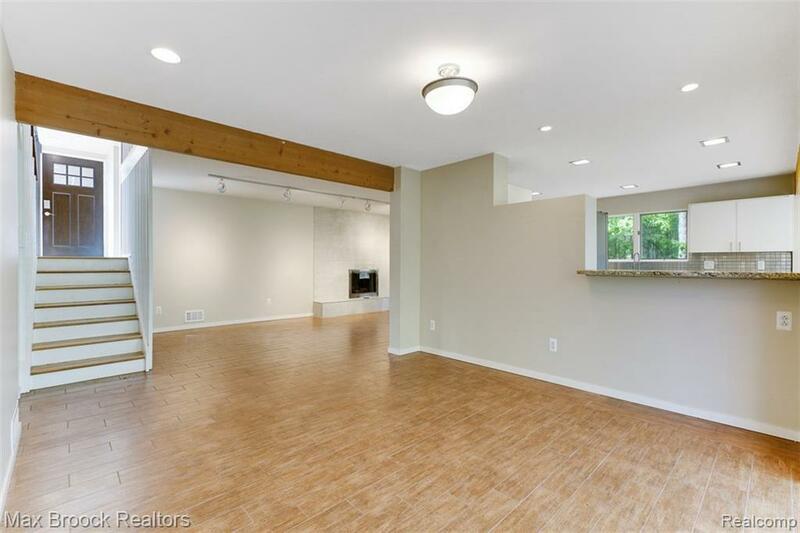 3400+ Sq Ft include great room with natural stone fireplace and adjacent sun room. 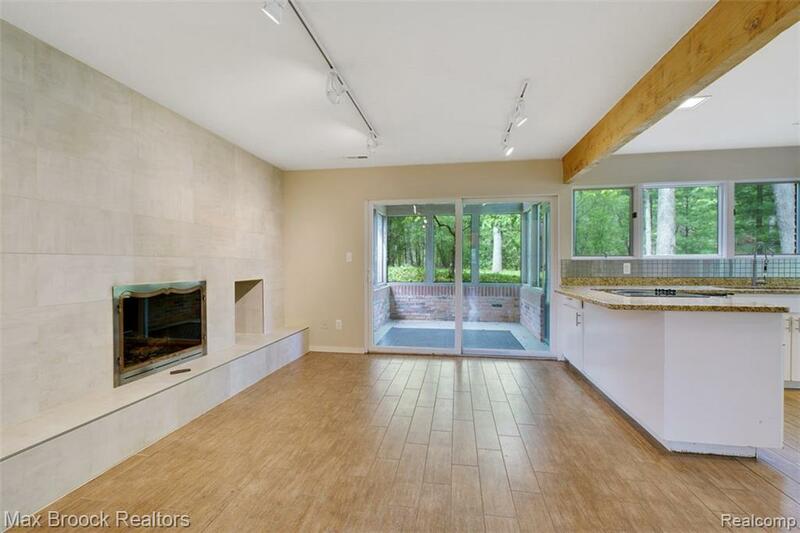 Granite kitchen with stainless steel appliances and large dining room w/wall of windows taking in the naturescape. 2 bedrooms on main floor and updated bath w/designer vanity. Master suite w/walk in closet, dressing area and private bath. Recent updates: newer roof, kitchen & bathrooms, paint. 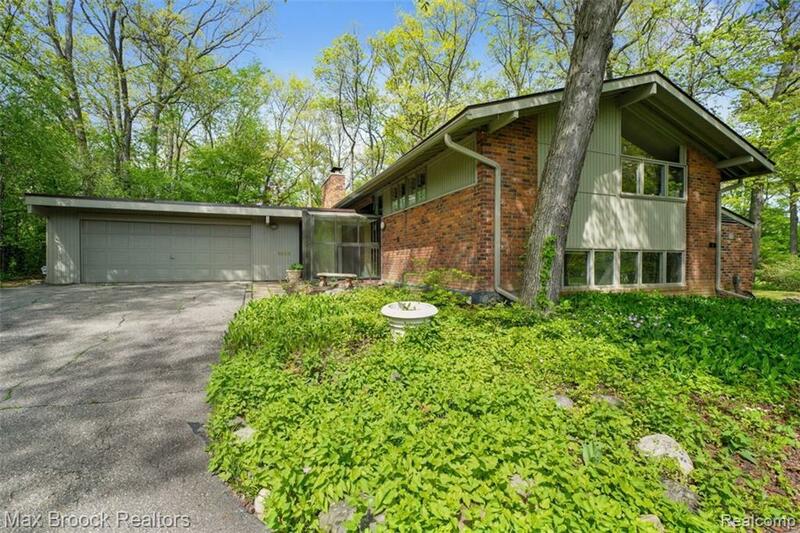 Over a half acre of property to enjoy. Seller to build closet in 4th bedroom.